Sarah Sjoholm-Patience gave a dressage demonstration at the Epsom Riding for the Disabled Group on Saturday 10th November, which raised over £1,000 for the charity. 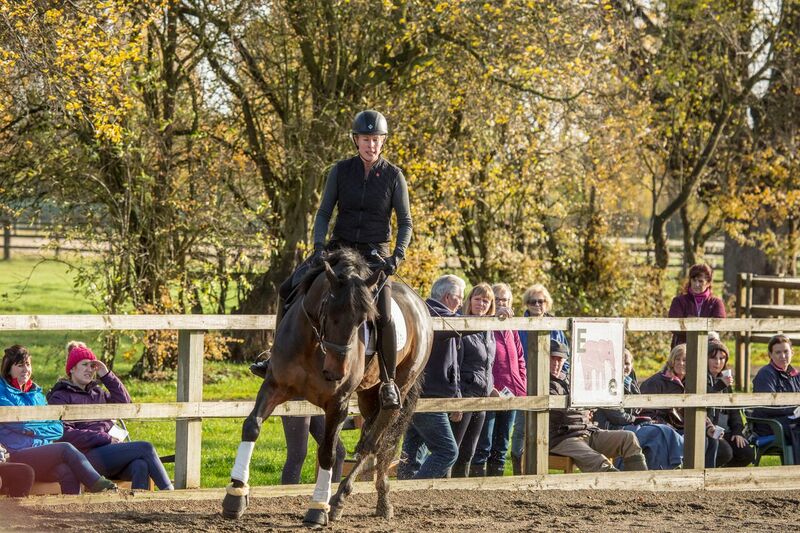 Demonstrating dressage training with a young horse through to advanced medium, the event attracted over 60 spectators. The charity provides disabled people with the opportunity to ride and benefit both their health and wellbeing. There were four ridden demonstrations with spectators gaining tips and insight from Sarah, both as a rider and as a coach. Sarah rode Dominate, a young horse working at novice level, owned by Yvonne Peek, and Sophia Jesman’s Don Diego, working at Advanced Medium. Heidi Thompson rode her own Hawtins Fiorella to show the progression from Novice. 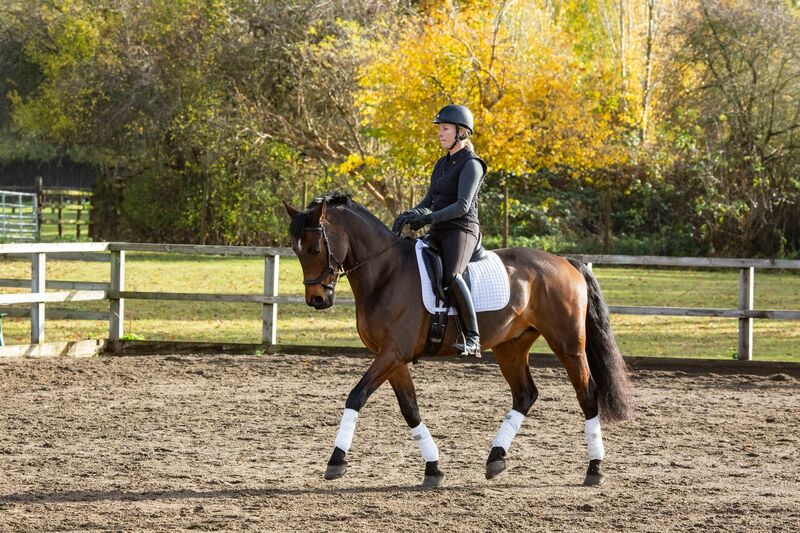 A Little Unbelievable, an eventer ridden by owner Nathalie George demonstrated Elementary movements. 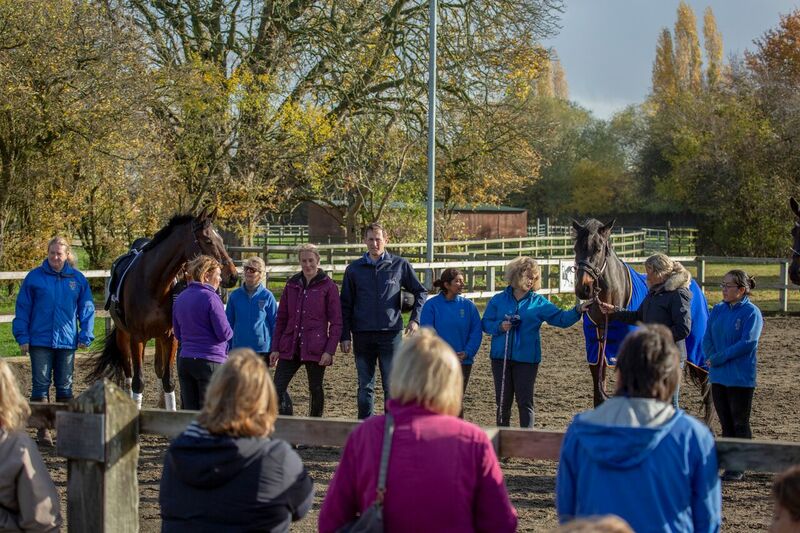 Horses and riders had a lovely time strutting their stuff and there was great audience engagement and participation. The goal of everyone leaving with something to take away and work on was successfully achieved. Sarah is involved in a range of demonstrations and clinics throughout the year. Find out more on upcoming events in her events calendar or contact Sarah at info@sarahsjoholmpatience.com for more information of if you’d be interested in running such an event.